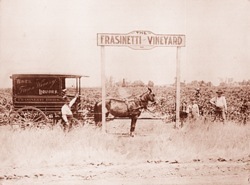 Frasinetti Winery was founded on the southern edge of Sacramento, California in 1897. The annivesary marks 112 years of wine production, making Frasinetti the oldest family-owned and operated wine producer in the Sacramento valley. 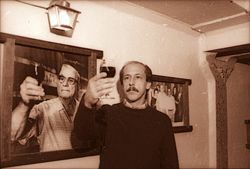 James Frasinetti, the founder, was an Italian immigrant who brought with him the "Old World" winemaking knowledge and a desire to build a reputation for his quality wine. 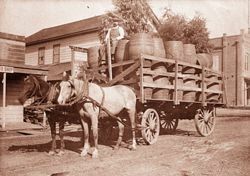 Originally, wines were delivered into Sacramento by horse-drawn wagons. At its peak, Frasinetti Winery had planted 400 acres and was shipping wine by the railroad distributing as far as the East Coast. 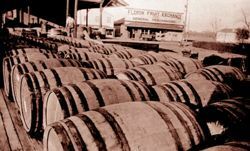 Prohibition struck in the 1920's and most all wine production ceased. The winery survived by selling grapes for table use and making "altar wine" for the church. During this period, the Frasinetti family concentrated on farming. 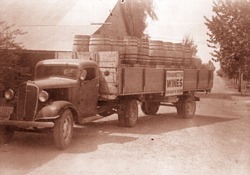 During the 1940's, expansion was the winery's path. The 1950's brought with it a demise of the agricultural growing area. There was also a cultural shift with people moving away from this rural community. The decade of the 1960's was introduced with a wine boom. Wine was no longer used only at special occasions, or just by the "Old World" population. 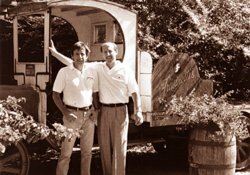 The 1970's saw the third generation grandsons, Gary and Howard Frasinetti, take over operation of the winery and begin to make changes from a winery that produced generic wines in large Redwood vats, to a small progressive winery blending old traditions with improved methods of the present. Howard and Gary Frasinetti have continued to produce varietal wines with emphasis directed to quality and use of Oak and redwood cooperage. 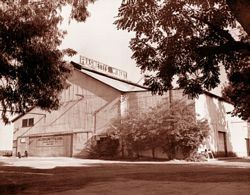 In 1985 Howard and Gary established a restaurant in the old "East Wine Cellar" among the cement fermentation tanks and large Redwood wine vats. 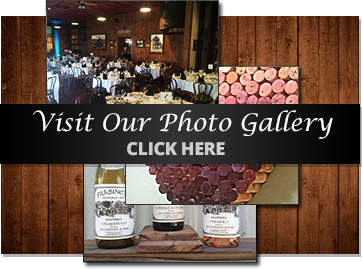 Through the 1990's the winery and restaurant have remained a successful operation, serving banquets in the large banquet rooms, and weddings outside in the Grande Gazebo, making special moments memorable in a beautiful historic setting.